Josh Conrad’s massage therapy and bodywork sessions demonstrate a refined understanding of orthopedic conditions. Having trained in a variety of modalities, Josh has an intuitive approach, catered to the individual. 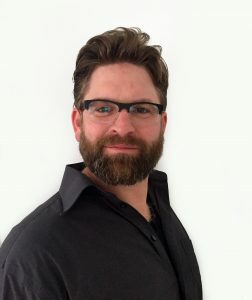 Josh utilizes a comprehensive blend of techniques to foster healing and continued wellness, meeting each person’s individual needs. From deep tissue treatment to soothing relaxation, Josh has the knowledge – and the touch. Josh Conrad has over 15 years of combined experience in a professional clinical setting and private practice. An extensive tenure in a chiropractic clinic enabled him to provide treatment to a wide spectrum of patients of different ages, backgrounds, with varying conditions. Josh also completed a two year Shiatsu apprenticeship under a practiced mentor and educator after completing his massage education and licensure. He has worked with patients from age three to ninety-nine with conditions varying from strain/sprain to one day post-operative. Through this extensive experience, Josh garnered an indispensable set of clinical skills, all of which are fundamental to his continued work. His techniques have also been vital to the dedicated athlete and the weekend warrior alike; having effectively treated runners, cyclists, golfers, tennis players, and members of team sports. Click here to read Josh’s testimonials.